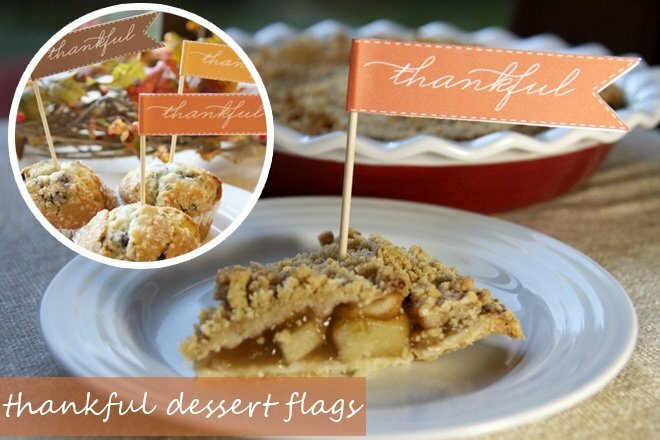 I‘m tickled pink to have Jen of Little Sprout Creations here to share a cute Thanksgiving freebie to add a little pizzazz to your Thanksgiving desserts! I’m hosting my first Thanksgiving this year with the future in-laws at my house! So you better BELIEVE I’ll be printing out these cuties for my pumpkin pie, apple cake (little plug – the recipe for the apple cake is in my new book), and even more sweet treats! PLUS, she gave us a sweet discount code to her shop (keep reading)! 1. Print out our free printable flags and instruction card. 2. Cut out flags, and fold in half. 3. Set out pens or fine-tip markers for guests to write with, and set out a basket for them to place their completed flags. Guests can write their name, or leave it anonymous. 4. 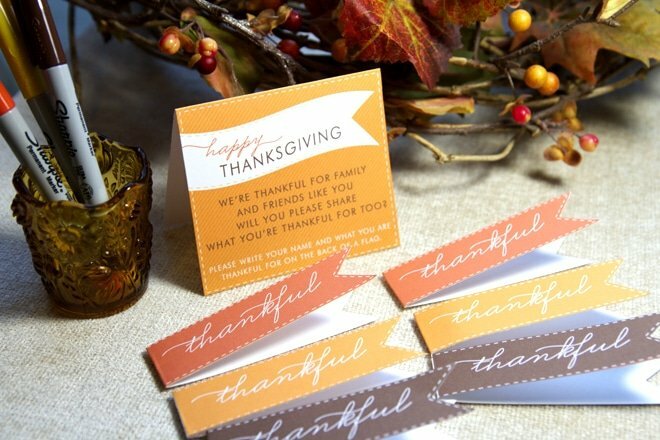 Once guests have finished writing what they’re thankful for, glue or tape toothpicks or thin skewers in the folded crease of each flag. Be sure to not glue or tape the flag completely shut, as you’ll want to be able to read the inside of the flag. 6. 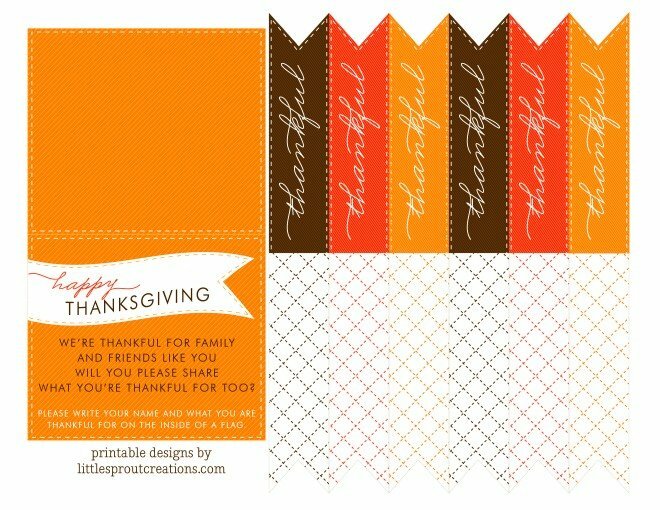 Not hosting a thanksgiving dinner this year? These are perfect for breakfast treats like muffins as well! Land of Snow: Nutcracker Ballet Party! Chilly “Chili” Dinner + S’more Bar Party! What type of printer do you use? Your graphics are beautiful! !